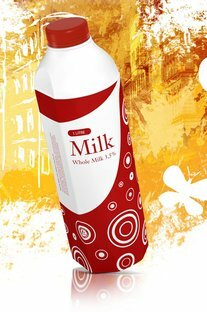 Tetra Pak has launched the Tetra Evero Aseptic one litre, the first aseptic carton bottle for milk. The company says it combines the easy handling and pouring of a bottle with the environmental and cost advantages of a carton and employs market-driven insight and breakthrough engineering techniques. “For our most strategic project, we knew we had to have Tetra Evero Aseptic,” says Pedro Astals, president and CEO of Corporación Alimentaria Peñasanta (CAPSA), Spain’s largest dairy, of its packaging choice for its move into the value- added ambient dairy segment and the first Evero customer. “This package expresses evolution, a very advanced step in comparison with today’s packages. Tetra Evero Aseptic is the perfect match of a high value-added product with a highly developed package. To me this is doubtlessly a winner,” says Astals. Another European dairy, Weihenstephan, one of Germany’s largest traditional dairies, plans to introduce the Tetra Evero Aseptic from the end of May 2011 to a select number of retail outlets in its first market test of the package. Functionality: Tetra Evero Aseptic brings convenience and added confidence to consumers with the world’s first one step opening with a two-step safety feature. An ergonomic cylindrical shape with flat side panels means it’s easier for big and small hands to hold. The shape also provides the ideal angle for better pouring than other bottles, according to independent consumer research conducted in several European markets. The new carton bottle grabs attention, providing maximum branding impact, with printing possible across the whole surface of the package. There are two distribution solutions for Tetra Evero Aseptic – an open cardboard tray and film-shrink with a handle. Tetra Pak Evero Aseptic keeps milk for up to six months. Customer system cost: The Tetra Pak A6 iLine for Tetra Evero Aseptic brings dairy producers a cost effective and efficient packaging solution for ambient white milk in a bottle. In fact, Tetra Pak A6 iLine, with a capacity of 10 000 packs/hour, takes up to 50% less space and requires 30% less investment than other aseptic bottling lines. It also offers 25% lower operating costs and requires half the electricity consumption than other aseptic bottling lines. Environment: The Tetra Evero Aseptic combines the easy handling and pouring of a bottle with the environmental advantages of a carton. It is recyclable and made from FSC-certified renewable paperboard. Innovative technologies: Innovative technologies combined with market insight and processes have driven the creation of this pioneering packaging system. The Tetra Evero Aseptic and the Tetra Pak A6 iLine are covered by 14 design and application patents, with advances that include an industry-first gas phase sterilisation technique and advanced injection moulding technologies to fuse the top, carton sleeve and capped neck into a ready-to-fill package. The Tetra Pak A6 iLine will first be available in Europe and South America.